This NBA rookie class is some of the best in years, which makes it imperative that you chose the right ones to produce for your fantasy basketball team next season. Due to this reality, we are going to dive into the rookies you should try to get on your team in fantasy basketball. I mostly chose these players because they have the opportunity to get playing time and the talent to take advantage of it. We are going to exclude players such as Markelle Fultz and Lonzo Ball because they are already projected to be good, so me telling you doesn’t really make a difference. 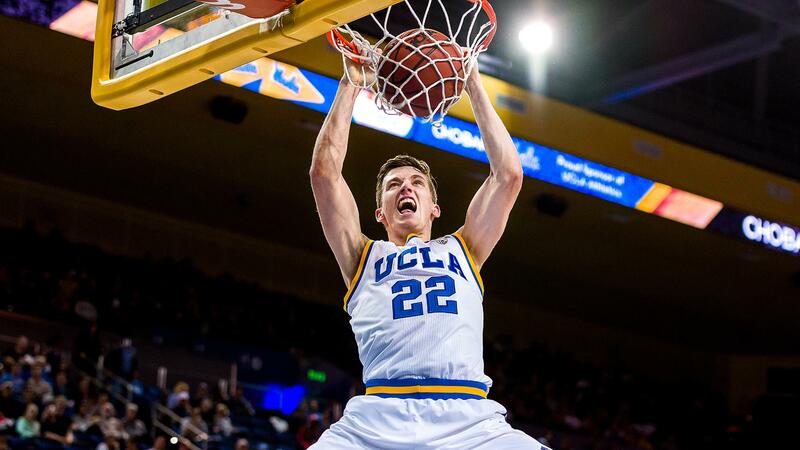 Smith was drafted ninth overall this 2017 NBA Draft (Grant Halverson/Getty Images). Dennis Smith is one of my favorite players on this list. He was a great player in college, averaging 18.1 points, 4.6 rebounds, 6.2 assists, and 1.9 steals per game. Now after a stellar freshman year at North Carolina State, Smith is moving on to the NBA after being drafted ninth overall by the Dallas Mavericks. And he couldn’t have landed in a better place than Dallas, as he only has to compete with the likes of Yogi Ferrell and J.J. Barea, both of whom are far less talented than him. Smith’s blend of play making, scoring, and athleticism coupled with his future starting role presents lots of potential and fantasy points. Smith could be a late round steal in your fantasy draft. Collins’ Gonzaga Bulldogs lost to North Carolina in the 2017 NCAA National Championship game (Mark Humphrey/AP Photo). Zach Collins was a very productive in college despite limited minutes, averaging 10 points and 5 rebounds per game. Collins is a pure 7 footer who displayed exceptional shooting, rebounding, and agility. All of this talent and size combined gives reason to why Collins was selected tenth overall this last NBA Draft. And what’s better? He may get the minutes that he couldn’t receive at Gonzaga, with his only competition being Al-Farouq Aminu, a player who is not even half as talented as Collins. In addition, you don’t draft a guy tenth overall just to sit on the bench. Collins is a late round snag that will pay mass dividends. Monk was drafted by the Charlotte Hornets, and said thereafter that he can beat their owner Michael Jordan (AP Images). Malik Monk is my favorite player in this article, as he has the most potential to put up ridiculous amounts of fantasy points. His shooting ability was showcased his freshman year at Kentucky, where he averaged 19.8 points per game. And don’t forget that Monk was one of the most explosive players in college basketball last season, putting up highlight reel dunks all year. Now on a Hornets squad where his talent is bound to bring him minutes, he will immediately become one of the better shooting guards in fantasy basketball. Monk will be a mid to late round steal in most of your fantasy basketball drafts. 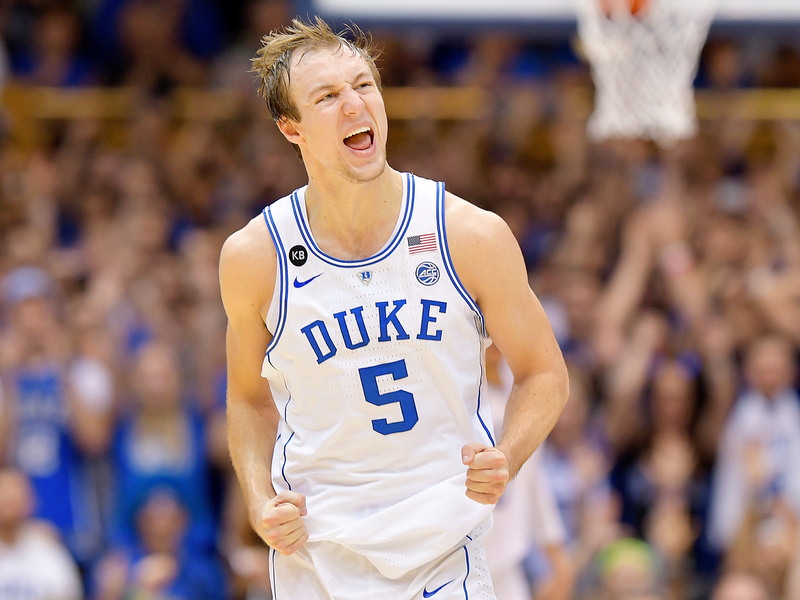 Kennard was drafted as a sophomore out of Duke (Grant Halverson/Getty Images). Luke Kennard was the first sophomore taken in the 2017 NBA Draft, and for good reason. He is a top five shooter in the 2017 rookie class, averaging 19.5 points along with 5.1 rebounds and 2.5 assists. The reason for this success is that he can create his own shot with effectiveness, and also has a 6’6″, 202 frame that allows him to be productive in the paint. He’s also a deadly three-point shooter, with an astounding 43.8 shooting percentage from beyond the arc. The Pistons were in desperate need of a shooter, so Luke Kennard will fill that role nicely. He may also have a chance at more playing time if Kentavious Caldwell-Pope leaves, but regardless of that his abilities will garner some minutes. Draft Kennard in the later rounds of your draft. Mitchell was drafted 13th overall by the Utah Jazz (Cindy Rice Shelton Photo). Mitchell is a player that will produce at all facets of the game: he is a good shooter, defender, and athlete. This talent was displayed during his sophomore year, where he averaged 15.6 points, 4.9 rebounds, 2.7 assists, and 2.1 steals. With George Hill and possibly Gordon Hayward leaving Salt Lake City, Mitchell could get immediate playing time and put up numbers all over the board. He is an all-round good player that will be a late round steal in your fantasy basketball draft. T.J. Leaf’s father, Brad Leaf, also played professional basketball in Israel (Scott Chandler). T.J. Leaf was made to be a productive offensive player in the NBA. 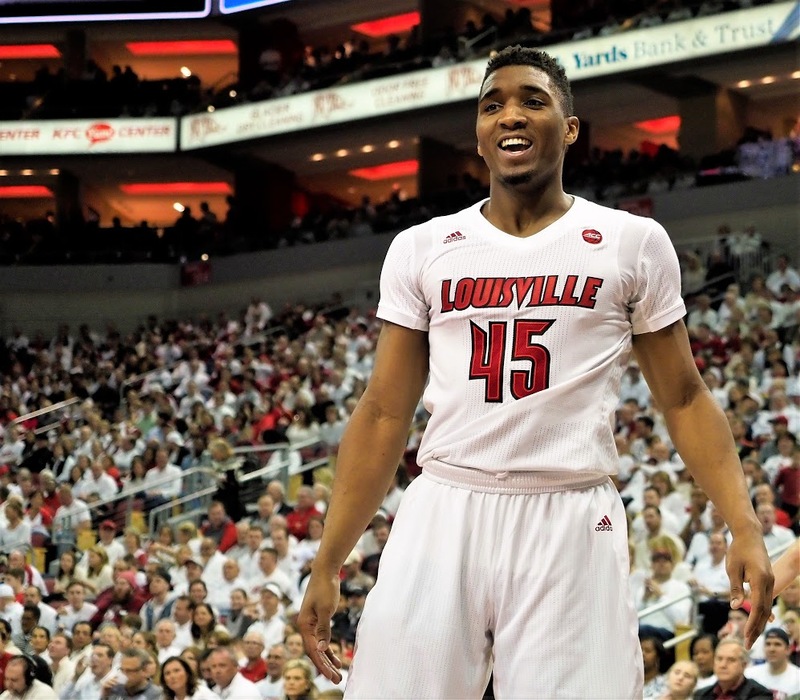 He has the agility, versatility, shooting prowess, and the rebounding ability to be a great offensively. Just look to his college statistics, where he averaged 16.3 points and 8.2 rebounds per game. Don’t forget that he is also a proficient passer, averaging 2.4 assists his freshman year at UCLA. Leaf is also a very polished athlete who will eventually gain playing time on the Pacers. Leaf will eventually chew minutes away from Thaddeus Young, and possibly take his position entirely if he can hone his skills. Take Leaf as a late round pick who could be a solid contributor to your fantasy basketball squad. John Collins was drafted 19th overall out of Wake Forest (Frank Franklin II/AP Photo). John Collins is a raw player who could develop into a great one for the Hawks. He’s already shone this potential at Wake Forest where he averaged 19.2 points and 9.8 rebounds per game. He has the athleticism, skills in the paint, and versatility to end up gaining multi-position eligibility. What Collins needs to do is improve his mid-range and three-point shooting to become a valuable fantasy asset. His value shoots up if you are in a dynasty league, and if you aren’t, maybe stash Collins because he could improve his skills sooner than many expect. Stashing Collins may also be a smart move because he will play a major role on the Hawks next season since Paul Millsap signed with the Nuggets. 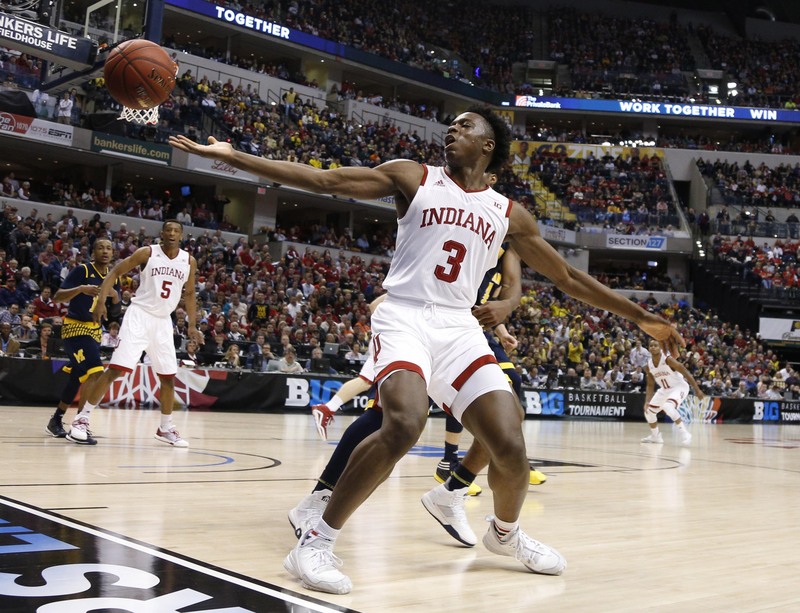 Anunoby has a ridiculous 7’4″ wingspan that helps him tremendously on defense (Brian Spurlock/USA TODAY Sports). Anunoby was a standout at Indiana, being an elite defender while still averaging 11.1 points and 5.4 rebounds per game. And this promising season sadly came to an end when he tore his ACL. This made Anunoby slide down draft boards and that is the sole reason why the Raptors were able to snag him with the 23rd pick. The reason why Anunoby is such a talent is because of his size, defensive potential, and offensive abilities. And this size is so imperative to Anunoby’s production because his 7’4″ wingspan allows him to terrorize opponents in the paint. This rare blend of size, talent, and athleticism will serve him well on a Raptors squad, where the only threat to his minutes is the struggling DeMarre Carroll. Make sure to pick Anunoby with one of your late round picks.